If you're in between sizes and have any tummy flaws, we recommend ordering up. The waist band has a very light stretch. 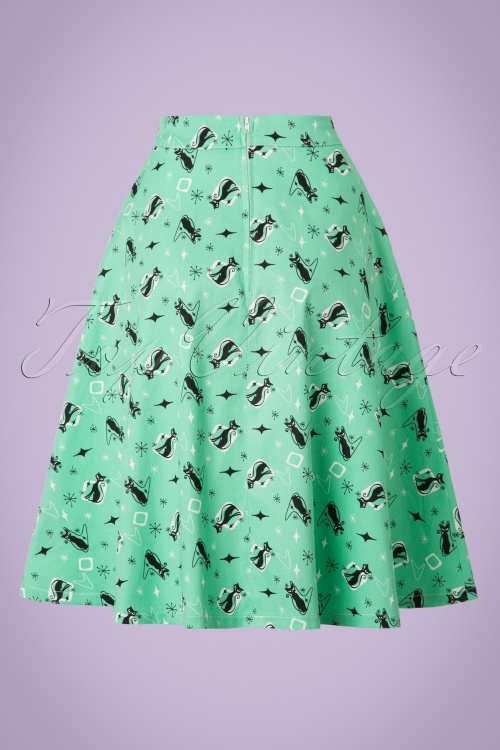 Looking fabulous has never been so easy in this 50s Emma Kitty Skirt! 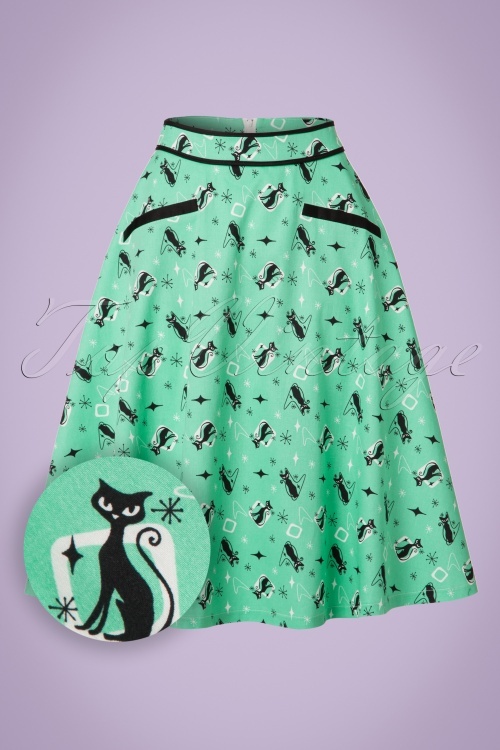 Some people say black cats are bad omen, well we can assure that the cute little black cats on this skirt bring nothing but joy and happiness! This cutie features black trims and faux pockets and is worn at the waist, from where she runs into a flattering semi-swing skirt. 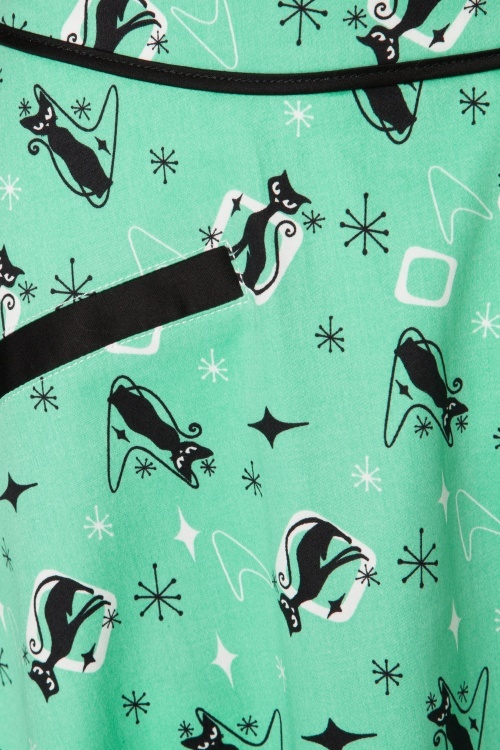 Made from a mint green cotton blend with a light stretch that’s just purrrrrrrfect for the upcoming season. Don't forget; the world is your 'cat'-walk! ein sehr hübscher und frischer Frühlingsrock! Der Schnitt sitzt super und gefällt mir sehr gut. Schade nur, dass die schwarze Bundeinfassung hinten nicht fortgesetzt wurde!